Late lunchtime- quiet. Just the two ales on. Done up for Halloween. A lady with a home countries accent asked her companion what "Mac and Cheese" was and then expressed horror at the explaination. First pub in a random tour of where ever the bus goes. Reasonably busy. Lunchtime, busy - but got a window seat. Good buzz. Canterbury Brewers - Foundry Torpedo 4.50 At its best. Canterbury Brewers - Foundry Torpedo 4.50 Fruity with great nettly hops. Mid evening, quiet. but a very good welcome from the barman who ingratiated himself with my wife by samples of the unusual ciders on - a warm mulled dry cider with cinnamon and a toffee-apple flavoured offering. I stuck with the rather good beer selection. Canterbury Brewers - Foundry Man's Gold 4.00 Spot on. Canterbury Brewers - Little Red Rye 4.50 A cheek sucking bitterness in excellent condition. Early afternoon and the diners were just starting to disperse. 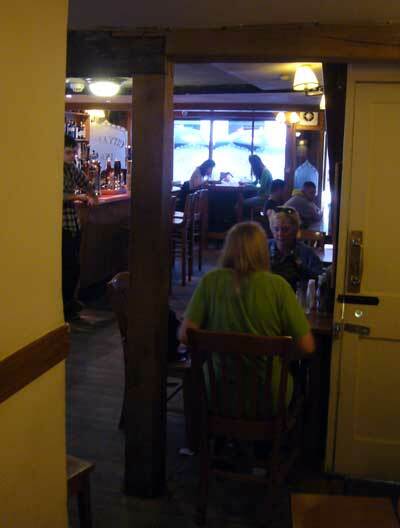 Friendly and helpful bar staff made us welcome, Camra discount applied on our beers. Canterbury Brewers - Biggleston's Bird Man 3.60 A good brown ale. Small handful of drinkers in. Good beer knowledge - Canterbury brewer behind the bar. Canterbury Brewers - Foundry Man's Gold 4.00 Great fresh hop taste - excellent condition. Canterbury Brewers - Biggleston's Bird Man 3.60 Brewer admitted he wasn't happy with this - and it tasted old and stale. Late Sunday afternoon call, at a time when the pub was pretty quiet. Canterbury Brewers - Topaz 4.70 Amber-coloured. A slightly jarring mix of sweetish malt and very bitter hop character. Canterbury Brewers - Biggleston's Bird Man 3.60 A Brown Ale with plenty of hops. About 16:00, almost full with a mixed crowd of folk. Canterbury Brewers - Foundry Torpedo 4.50 Fruit and body, not at all like a lager. Canterbury Brewers - Heresy IPL 4.90 Served in a jug like I used to drink Double Diamond out of in the Olive Branch back in the day. Not my style any more, too dry, thin lacking any kind of depth. I guess it's how it's supposed to be and it went down easily enough. Better than Skol but only average. 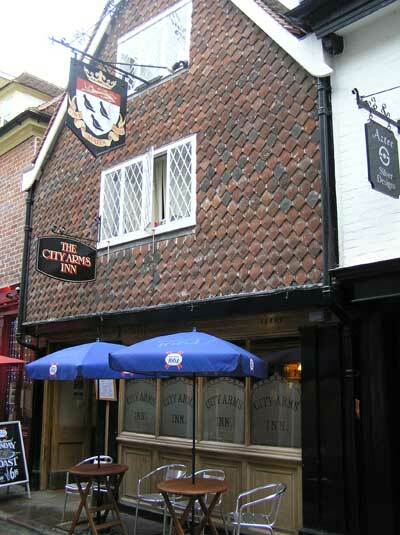 The pub is found in Canterbury, Kent, CT1 2JR. Found in one of the side streets near the Cathedral this is a long single roomed pub popular with drinkers. Has links to Canterbury Brewers at The Foundry so its beers are always on offer. We have visited this pub 43 times, seen 50 different beers and tried 32 of them.